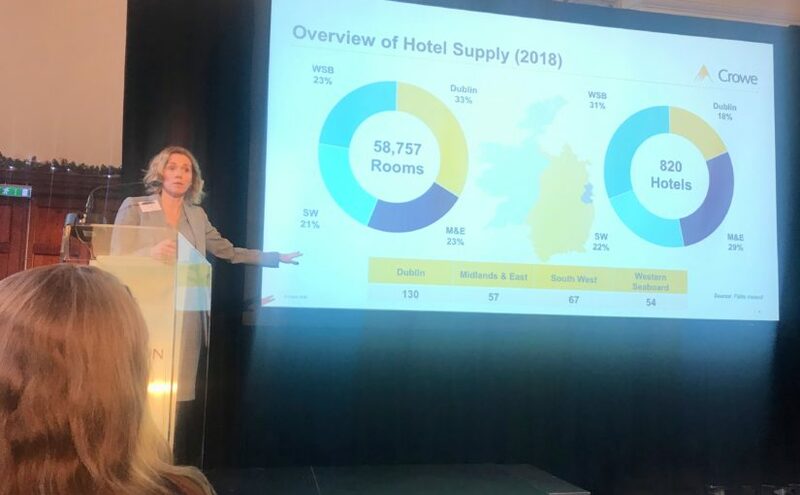 Mairea Doyle Balfe, a director from our hotel, tourism and leisure division, joined a panel of speakers at the Bank of Ireland Hotel Sector Breakfast Briefing at the Clayton Hotel, Ballsbridge. 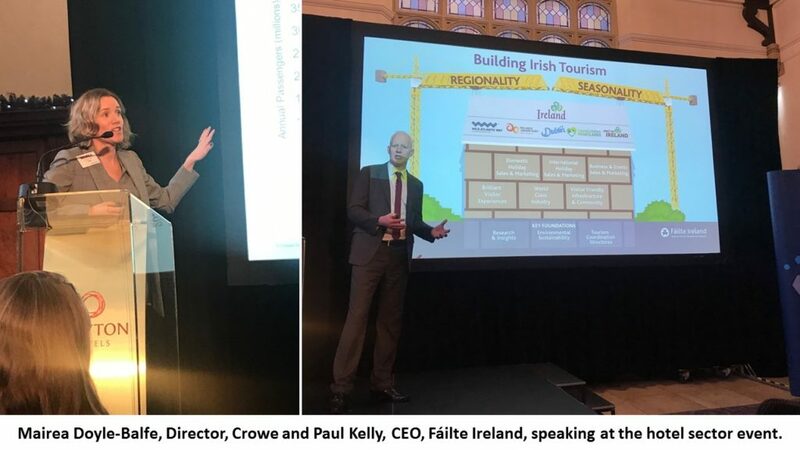 In the first part of the event, hosted by Bank of Ireland, featured presentations from Sarah Duignan, Director of Client Relationships at STR who spoke about global, European and Irish performance trends, Paul Kelly, CEO of Fáilte Ireland, who spoke about Fáilte Ireland’s strategy for 2019 & beyond and Mairea Doyle Balfe, Director, Crowe who outlined Irish hotel sector KPI trends and the importance of feasibility studies when investing in the Irish hotel sector. After the break John Hughes, Director with CBRE spoke about the Dublin and regional hotel development pipeline and property market valuations before Tim Fenn, CEO of the Irish Hotels Federation, closed the event speaking about the shortage of trained staff facing the sector and the importance in continued investment in maintaining quality and driving innovation in the sector. Demand has been strong over the last number of years which has supported growth in occupancy. On the back of this there has been reinvestment in the sector which enabled hotels to re-position and increase rate. The Dublin hotel sector supports investment in expansion and new hotel development. However, feasibility analysis is required on positioning and optimum hotel size. There’s only a certain level of site cost that hotels will work at, with larger hotels having greater economies of scale. In regional Ireland, profit levels in certain locations (such as Cork and Galway) support new hotel construction, however the implications of VAT and Brexit may mean feasibility projections need to be re-analysed. Please contact Mairea Doyle-Balfe or a member of our specialist hotel, tourism and leisure team if we can assist with any hospitality or tourism-related project. Her presentation can be downloaded below.